If you rely on your blog for fresh content to drive inbound traffic there’s one tool that is often neglected: The editorial calendar. An editorial calendar is essentially a virtual “To Do” list. It’s a tool of accountability. It’s a forum for brainstorming. It’s a micro-managers dream come true. (Can you imagine showing your manager exactly what you’re working on three months in advance?!) It’s your blog topics laid out for months on end. It’s a motivational tool for those who are deadline driven or just tend to procrastinate. It’s a living, breathing document that becomes the method to your madness. Chances are you have some sort of editorial calendar in place already without even realizing it. Usually a random smattering of ideas you don’t want to forget, on napkins, post-it notes and emails sent to yourself in the middle of the night when inspiration strikes. How in depth you go, depends on you and your goals, but the more detailed it is the more efficient it can become. 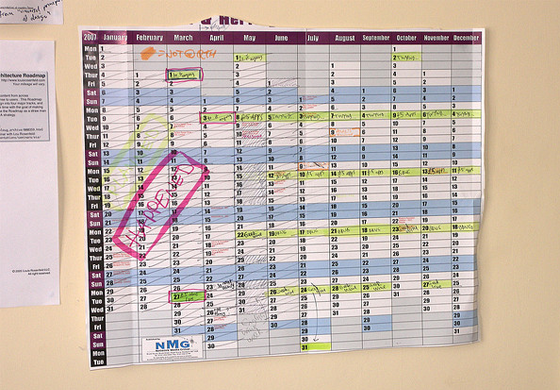 If you’re old school, which some of us are, a good, detailed day planner dedicated as your editorial calendar can be an effective tool, however you will be limited to space due to the very nature of the physical calendar. But, for the majority of those working in the digital age, a virtual calendar using Microsoft Excel or Outlook, Google or WordPress (or any other platform for that matter) lets you organize your thoughts, send you alerts for looming deadlines and unlimited space for notes, ideas, resources and insights (using a cloud-based tool is best as you can access it from anywhere). Keep in mind though, if you’re weary of bogging your site down with plugins which can lower page speed (and hurt conversions) you’ll want to use an external spreadsheet. Enter the good ‘ol spreadsheet. With unlimited space, multiple tabs, and even some color, you can build a creative (and easily shareable) platform that allows you to establish themes or focal points for your work. So, if it’s important to remember that March is the month of the Sweet Potato, including it on your calendar will help you develop content ideas around sweet potatoes. (Oli: I hate sweet potatoes). A Crackerjack Marketing contributor shared her editorial calendar which she keeps active on Google Docs. By including more than just the topic and post date, you create a more effective tool which helps to remind you of the integral components of SEO and content marketing. For teams of writers this can be a great avenue for collaboration. 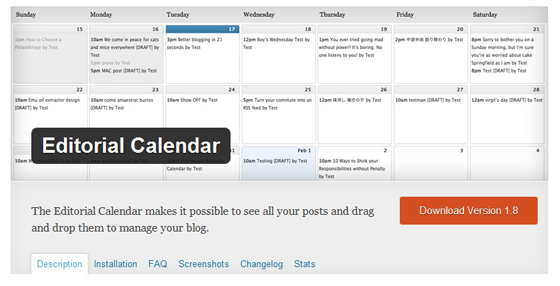 By sharing the calendar, you are able to utilize each other’s networks and ideas. If a team member sees you’re working on a post about A/B Testing and he just happens to have a relationship with the marketing mavens at Unbounce or has recently conducted a test, he can share his contacts or perspectives to help provide you with more relevant content. It’s also a great way to ensure you’re not duplicating material by haphazardly publishing posts from various authors. In addition, editorial calendars can become a vital asset when working in conjunction with advertisers or coordinating promotional opportunities for your own business. The calendar provides a comprehensive guide to when and where your work will fit into campaigns and promotions or vice versa. For example, if you are working in partnership with the American Cancer Society and know their annual Relay for Life is approaching in May, your work leading up to the event can revolve around non-profit, healthcare, cancer awareness and related topics. When working with multiple clients, this provides a detailed description of the who, what, when, where and why, optimizing your efforts, your time and perhaps even your sanity. It can be used in coordination with standard tools to show what you’ve done and where you’re going. It’s also a fantastic tool to use to close a deal when proposing your services. Imagine being able to show a perspective client exactly what you had in mind for them over the next quarter? It should go without saying, but once you’re posts are complete, mark it on the calendar. Not unlike crossing a task off a traditional to-do list, it’ll create a sense of accomplishment and as we all know, some days that’s what we need to keep us going. 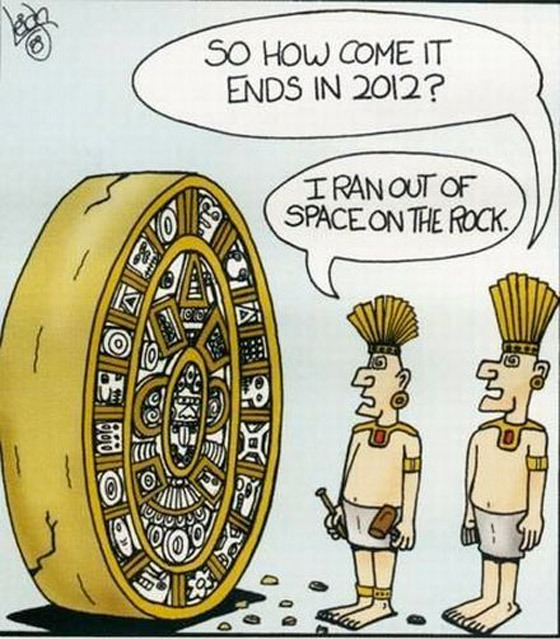 It’s also important to remember not to lock yourself into the calendar. After all, it is designed to be a living document. If you have a post scheduled to publish tomorrow, yet there is an important news event to take advantage of, so be it. If something is going on in your respective industry that demands your attention and ultimately that of your customers, go for it. So, what’s on your calendar today?